Police are calling for witnesses after a cyclist was seriously hurt in collision with a car at the weekend. It happened at the traffic-light controlled junction of Langney Road with the A259 Susans Road around 5.20pm on Saturday (May 5). The cyclist, a 48-year-old local man, suffered serious head injuries and was flown by the Kent, Surrey and Sussex Air Ambulance to the Royal Sussex County Hospital, Brighton – said Sussex Police. 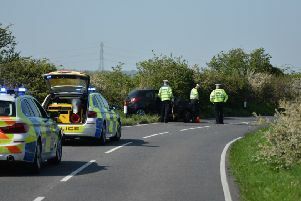 A 40-year-old local woman, who had been driving a white Kia Cee’d car, was unhurt. Anyone who saw what happened, who noticed either the cyclist or the car shortly before the crash, or who may have any other information that may help investigators, is asked to contact Sussex Police online or call 101, quoting Operation Console.